I hope you all had a wonderful holiday weekend! We just got back from a great weekend at the beach with my sister, brother-in-law and nephew, Charlie. We had a blast...isn't it so hard to get back into the swing of things after a lovely vacation? We spent the weekend in South Carolina at the beach Carter grew up going to and now the beach that we go to every year for our week-long vacation with Carter's family. In the 70s, Carter's grandparents bought a little beach trailer there and it has been the scene of many family gatherings ever since. It was the perfect spot to take Charlie for his first trip to the beach! Check out those bamboo chairs!! And I love the yellow color. 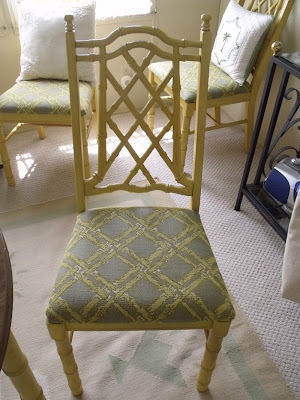 We all see bamboo chairs nowadays, but I thought these have a slightly different silhouette, which make them special (not to mention they are special because Carter's grandmother picked them out - she had great taste and loved a bit of Chinoiserie here and there). Love! And I'm not sure if that is the original seat fabric, but I think it looks great. 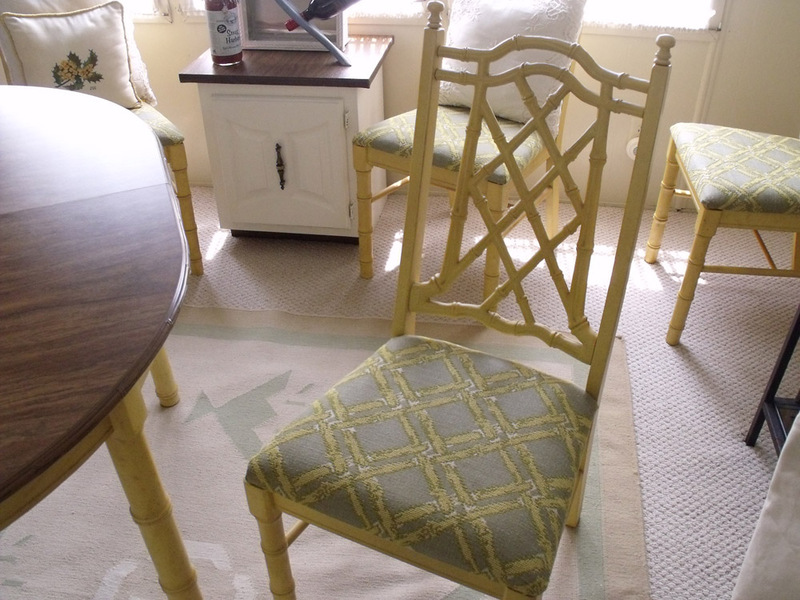 I also love the rug under the table - you can see bits and pieces of it in the pictures...it's a perfect partner to the dining set and makes the whole room feel very light and beachy, without being nautical. Beautiful chairs--so unique and perfect for a beach house! I just love bamboo chairs! They would be perfect for MV or Nantucket! 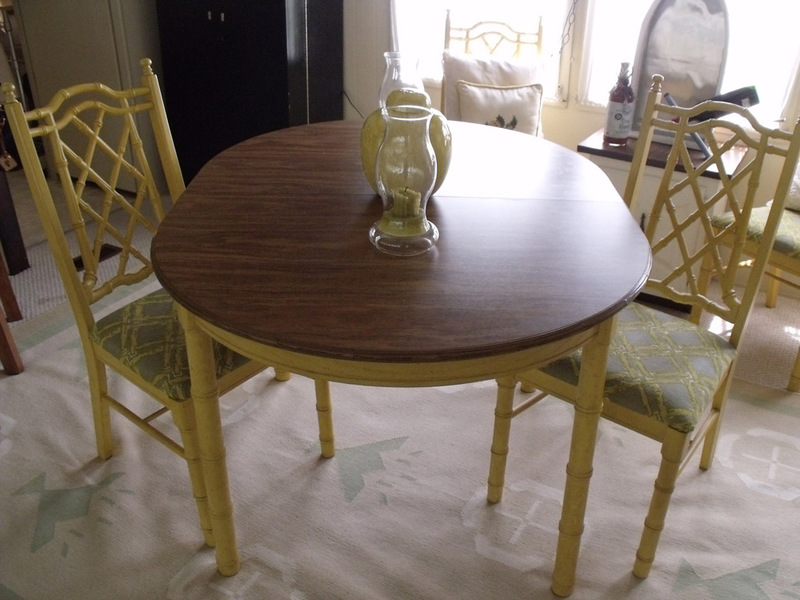 i have the same chairs & the material shown is original circa 1980.